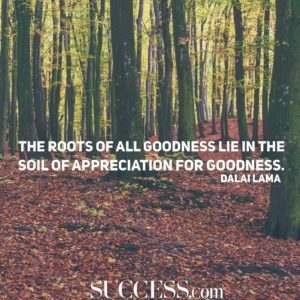 Saying thank you and showing your Gratitude Quotes with a handwritten message can make all the difference in your relationships.Here are quotes about gratitude that will not only remind you that what you have is pretty awesome, but will also, I hope, spur you to express that gratitude to the people who deserve it most. Gratitude is the key attitude to success. 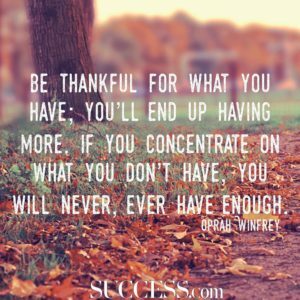 Be grateful for all that you have you will get more in an abundance. Too many people tend to focus their mind on what they don’t have rather than being grateful for what they do have. 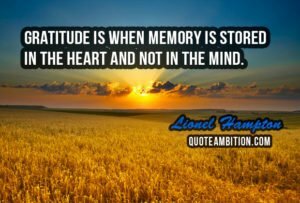 Looking for the best gratitude quotes? We’ve compiled a list of 54 inspirational quotes and sayings about being grateful. We learned about gratitude and humility – that so many people had a hand in our success, from the teachers who inspired us to the janitors who kept our school clean… and we were taught to value everyone’s contribution and treat everyone with respect. Gratefulness is a double-edged sword. Because I think we’ve poured it into a feeling. And the batter of gratitude gets kind of stuck to the edges of the Williams Sonoma melamine mixing bowl. But gratefulness, the act of being grateful is actually… a verb. It’s an activity. So much about living life, to me, is about humility and gratitude. And I’ve tried very hard to have those qualities and be that person and I’m just so disappointed in myself that I allowed it to slip. At the age of 18, I made up my mind to never have another bad day in my life. I dove into a endless sea of gratitude from which I’ve never emerged. Today I choose to live with gratitude for the love that fills my heart, the peace that rests within my spirit, and the voice of hope that says all things are possible. Happiness cannot be traveled to owned, earned, worn or consumed. Happiness is the spiritual experience of living every minute with love, grace, and gratitude. Gratitude is the sweetest thing in a seekers life – in all human life. If there is gratitude in your heart, then there will be tremendous sweetness in your eyes. I look back with a mix of emotions: sadness for the people who are gone, nostalgia for times that have passed, but immense gratitude for the wonderful opportunities that came my way. Exercise is about being grateful for the body you have and sustaining the life you have. Whatever life throws at me I’ll take it and be grateful for it as well. Gratitude is a mark of a noble soul and a refined character. We like to be around those who are grateful. I am very grateful to God everyday that my eyes flutter open and I can jump out of that bed! Nothing new can come into your life unless you are grateful for what you already have. I’m grateful to God for His bountiful gifts… He gave me courage and faith in myself. So every single day, I found something to be grateful for and that’s a powerful lesson.